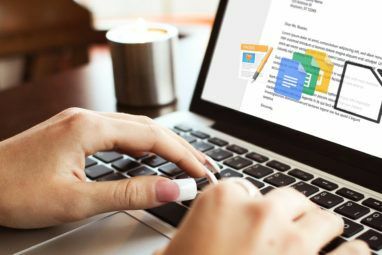 For years, users have been searching for free or low-cost alternatives to Microsoft Office 9 of the Best Free and Low-Cost Alternatives to Microsoft Office 9 of the Best Free and Low-Cost Alternatives to Microsoft Office Microsoft Office has dominated the market of text documents, spreadsheets and slide shows for years, and for good reason – it’s one of the very best. 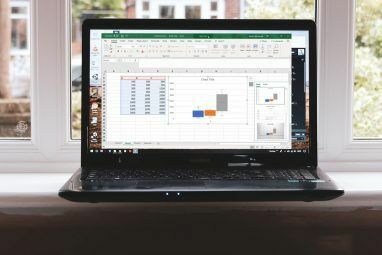 However, there’s one drawback and that is the price.... Read More and they’ve always been met with mixed results, but there’s one alternative that shines above the rest: LibreOffice. It’s gotten to the point where LibreOffice is now being considered a viable competitor to Microsoft Office in many ways Is LibreOffice Worthy of the Office Crown? Is LibreOffice Worthy of the Office Crown? LibreOffice is the king of free office suites. It's unlikely to replace Microsoft Office in a business environment, but it's an excellent alternative for casual users. Here's what's new in LibreOffice 5.1. Read More : features, usability, interface, flexibility, file format support, and more. Office 365 is great An Introduction to Office 365: Should You Buy Into the New Office Business Model? An Introduction to Office 365: Should You Buy Into the New Office Business Model? 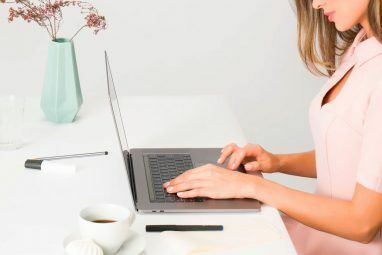 Office 365 is a subscription based package that offers access to the latest desktop Office suite, Office Online, cloud storage, and premium mobile apps. Does Office 365 provide enough value to be worth the money? Read More , but LibreOffice is free. 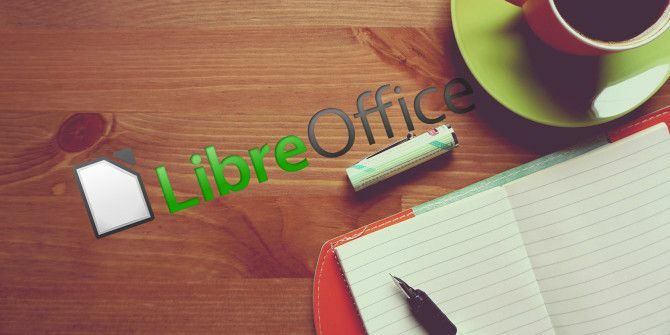 But launching LibreOffice for the first time can feel foreign, so here are a few tips to help you get acquainted with it, what it can do, and what you should change to make it feel more comfortable. In the sidebar, select LibreOffice, then Memory. Change “Use for LibreOffice” to 128 MB. Change “Memory per Object” to 10 MB. In the sidebar, select LibreOffice, then Advanced. Uncheck Use a Java runtime environment. Note that Java is mainly used for LibreOffice Base, which is used for database operations (the LibreOffice analog for Microsoft Access). If you don’t use LibreOffice Base, then you likely don’t need Java. As with most applications, the best way to speed up your workflow and boost your productivity is to learn all of the important keyboard shortcuts by heart. In general, keyboard shortcuts are faster than using a mouse. F7: Open Spelling and Grammar. Ctrl + F7: Open Thesaurus. F11: Open Styles and Formatting. Ctrl + F12: Insert a table. Ctrl + #: 0 for Default paragraph, 1 to 5 to apply Headings 1 through 5. If you want to become a master of LibreOffice, check out these other important keyboard shortcuts to know 25 LibreOffice Keyboard Shortcuts That'll Speed Your Workflow 25 LibreOffice Keyboard Shortcuts That'll Speed Your Workflow LibreOffice is a viable alternative to Microsoft Office, but if you want to take full advantage of it, you need to learn these essential keyboard shortcuts. Read More . By default, LibreOffice saves files using the OpenDocument file formats (ODT for text documents, ODS for spreadsheets, ODP for presentations, etc.) and while this may be okay if you’re working solo, it can be a nuisance if you’re collaborating with Microsoft Office users. In the sidebar, select Load/Save, then General. Change “Document Type” to Text Document. Change “Always Save As” to Microsoft Word 2007/2013 XML. The default icon set used throughout LibreOffice is borderline gaudy and can be quite distracting when you’re trying to focus on work. We recommend changing it to something more subtle and pleasant. Change “Icon Style” to Breeze. Change “Icon Size” if you want as well. I personally don’t deal with files that are longer than a page or two, but if you regularly work with complex, many-paged documents — such as research papers or annual reports — then you absolutely need to use the Navigator. In the View menu, select Sidebar. If the sidebar is collapsed, expand it. In the sidebar, select the Navigator tab. The Navigator tracks the entire outline of your document and provides you a quick way to jump between sections, headings, tables, bookmarks, hyperlinks, images, and other elements. Styles allow you to define custom “looks” for the text, images, and other elements in a document. With a custom style, you can define it once and then one-click-apply every time you need it rather than repeatedly selecting fonts, margins, etc. Paragraph Styles apply fonts, numberings, and layouts to entire paragraphs for the document. Character Styles apply fonts to words or letters within a paragraph. Frame Styles apply changes to frame layouts and positions. Page Styles apply changes to layouts of the page, including headers and footers. List Styles apply changes to bulleted and numbered lists, allowing you to style the bullets, the numbers, and the indents. In the Styles menu, select Styles and Formatting. Select the type of style you want to create. Now you’ll see a popup window with over a dozen different tabs and lots of options to play with. Specifics are beyond the scope of this article, but most of it should be self-explanatory. Feel free to experiment. The Styles feature is great for defining a common look for paragraphs and other elements within a document, but if you want to define a common layout and appearance between documents, then you need to use Templates. Create a new empty document. Set the content and formatting styles you want. In the File menu, under Templates, select Save As Template. Double-click the “My Templates” folder, then click Save. Give it a name and click OK. In the File menu, under New, select Templates. Select the template you created and click Set as Default. And that’s it. In the future, you can create other templates in the same way — such as a specific layout for taking notes for weekly meetings — and create new documents using those templates. Just skip the steps for saving the templates as default. If most of your word processing experience is in Microsoft Office, then you probably aren’t familiar with docking and undocking. In fact, for the most part, you don’t have much flexibility at all — the Ribbon is what it is whether you like it or not. But in LibreOffice, you can dock most windows into toolbars and undock most toolbars into free-floating windows, and this is crucial for customizing your workspace and getting comfortable with the program. Hold CTRL and double-click any empty spot on a toolbar (to undock it) or on a free-floating window (to dock it). You can “stack” toolbars by dragging them under each other, or you can just organize them horizontally by keeping them all on the same line. In the View menu, under Toolbars, you can toggle them. If you don’t think LibreOffice has enough useful features out of the box, you can always add more functionality through extensions, just like you can with your browser. A lot of people don’t realize that LibreOffice can do this! In the Tools menu, select Extensions Manager. LibreOffice comes with a handful of extensions that are bundled with the base installation, but you can also find dozens of others online at the LibreOffice Extension Center. In the Extensions Manager, you can use the Add button to install whatever extension files you download (which will come in the OXT file format). Got Any Other LibreOffice Tips? As you can see, LibreOffice has come a long way since it forked off of OpenOffice way back in 2010. Not only does it have all of the fundamental features of a word processor, but it’s advanced enough to be comfortable for power users. Don’t like LibreOffice? Then we’d recommend trying out FreeOffice 2016 Need a Microsoft Word & Office Alternative? Try FreeOffice 2016 Need a Microsoft Word & Office Alternative? Try FreeOffice 2016 Microsoft Office is the most advanced office suite on the planet. But why fork over cash when you can use a free alternative that still offers all you need? FreeOffice 2016 could be right for... Read More — as long as you’re aware that the free version of it can’t save in DOCX, XLSX, or PPTX. If you need that level of Microsoft compatibility, then your best bet is to stick with LibreOffice. What do you mainly use LibreOffice for? Know of any other tips or tricks that we missed? Would you recommend it over Microsoft Office? Let us know in the comments below! Explore more about: LibreOffice, Microsoft Office Tips. I do use LibreOffice since I tried it five years ago. '3. Change the Default File Format' I totally desagree! I hope people change their default format to OpenDocument and not to M$ OOXML. Change to OOXML? NO, if more people is better than all works in the same program, and the more expensive is MS Office + MS Windows, is better all use GNU/Linux and LibreOffice, or Windows and LibreOffice. I've recently started using LibreOffice to replace my ageing Office 2010 installation. I never considered changing the icon set,but breeze certainly looks more business-like and the memory change has made it much snappier. LibreOffice is a great suite and with Open365 on the horizon it's hot on the heels of Microsoft. Shame there's still no Android offering though. Thank You! The tip on the memory size change made a Huge difference!